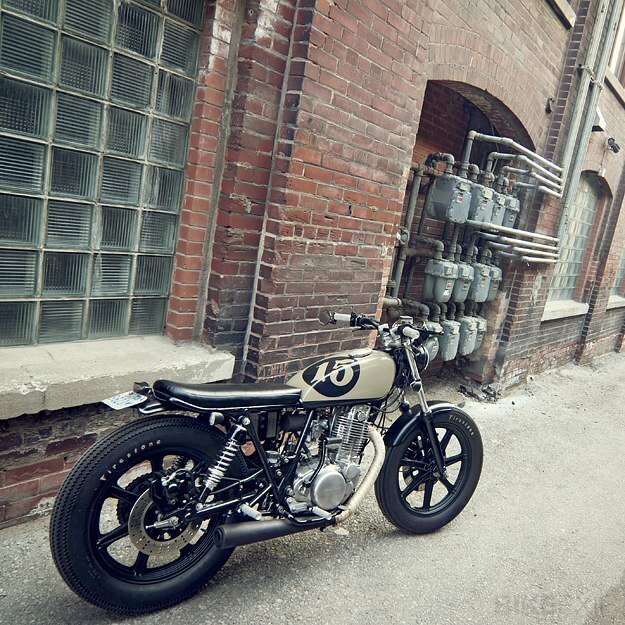 Amongst all the slick pro builds, the edgy new-wave customs and the oddball art-moto machines, it’s good to show a clean home build now and then—the kind of bike built over several weekends in a backstreet garage. 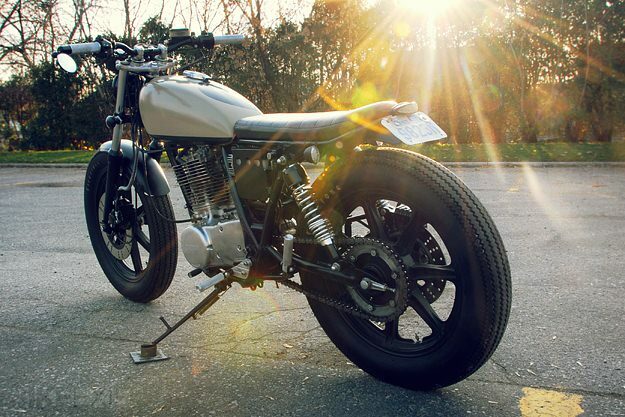 After a yearlong search for the right SR500, Eric found one that had sat unused for a decade. “It didn’t take much effort to get it on the road,” he recalls. “I rode it semi-stock for a season, until I was rear-ended by a taxi.” The unfortunate shunt provided Eric with the impetus to put his design ideas into practice. 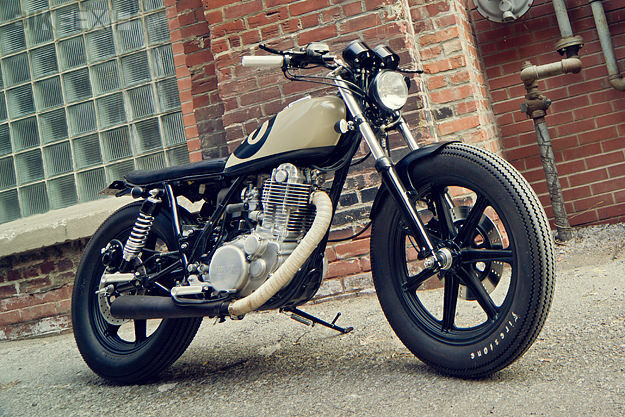 Last winter, Eric and his father tore the SR500 apart, fabricated a rear loop for the frame, bobbed both fenders, and made a custom seat pan. They did everything themselves, including the upholstery work and paint job. 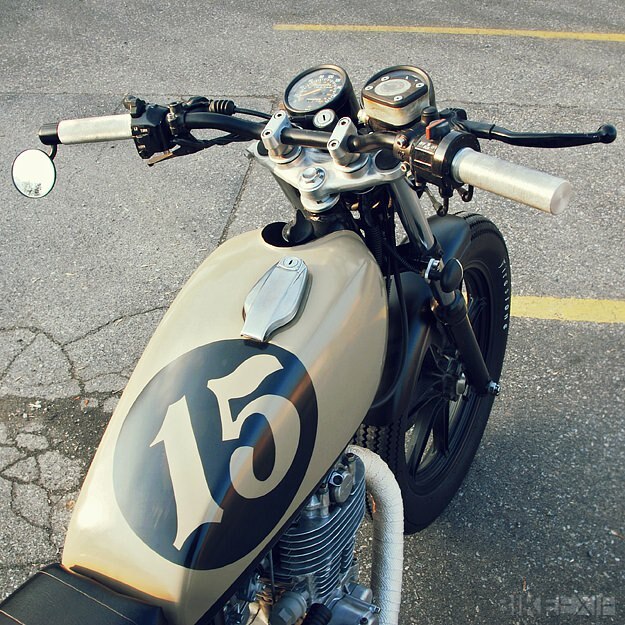 The knurled aluminum pegs and grips are custom-machined, and Eric fitted tracker-style bars and a Bates headlight. He upgraded the brakes to drilled rotors, and tightened up the handling with new 13” shocks. Eric’s now working on a new custom motorcycle project, a 1999 Harley Davidson Sportster. You can follow the progress via his blog. 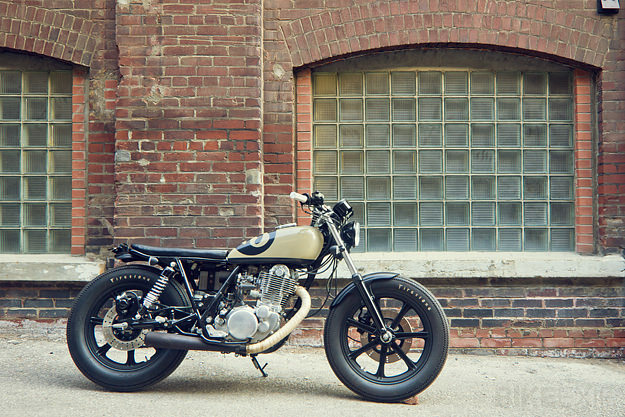 If the Harley turns out as nice as this Yamaha, it’ll be worth keeping an eye on.